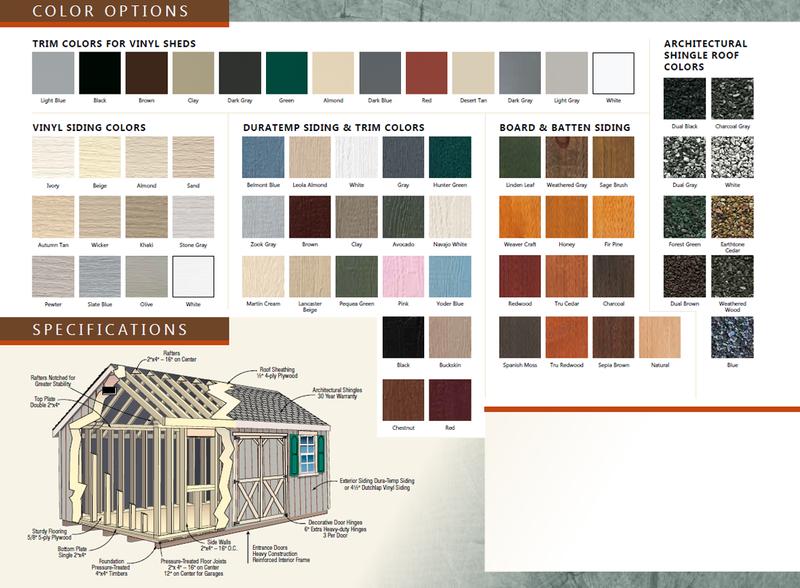 Covered with 30-year architectural shingles, structures from our New Haven Series has a certain earthy charm that’s often appreciated by homeowners. 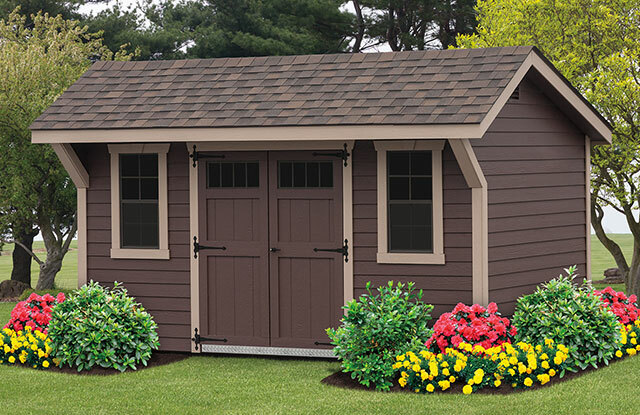 The Quaker models from this series can be completed with a dual brown roof complemented by a buckskin trim with transom windows in doors. 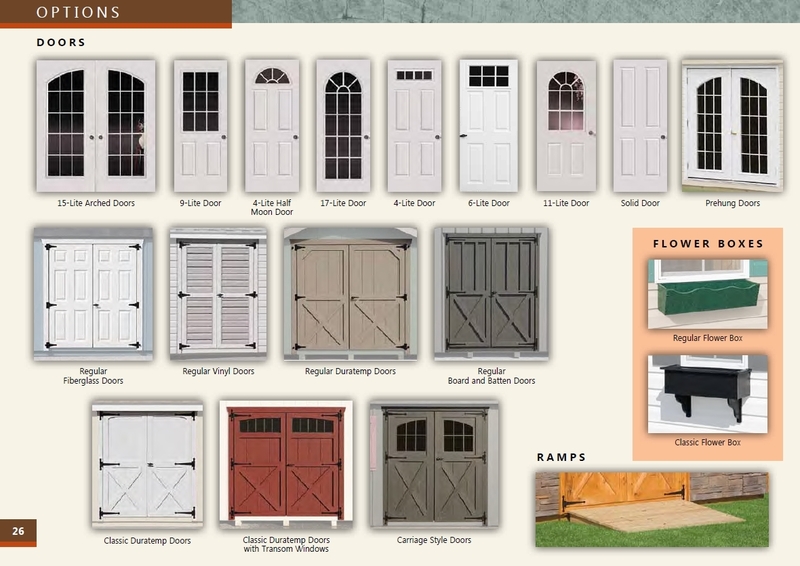 You’re also welcome to store your lawn equipment or household items in a highwall shed with Navajo white siding. An A-frame New Haven shed with an earth-tone cedar roof with chestnut siding can serve as a guest cottage or a private workshop. 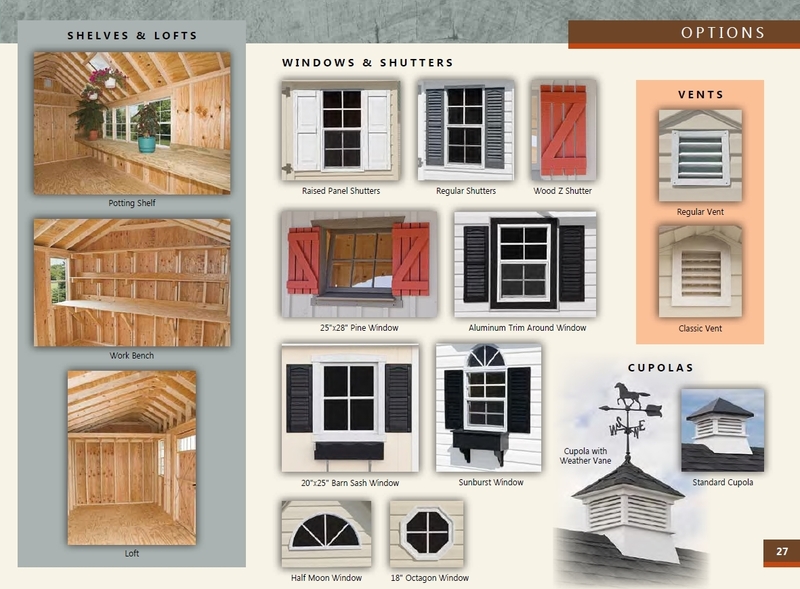 Standard features with this series include crossheads on the window trim, elite doors, 7/12 roof pitch on A-frames, double doors, gable overhangs, and straight lapwood siding.